India will construct a "state-of-the-art" passenger terminal building for the Kartarpur corridor at a cost of Rs 190 crore, officials said Saturday. The passenger terminal building (PTB) complex will have all the necessary passenger amenities to facilitate pilgrims intending to visit the Kartarpur Sahib Gurdwara, located across the border in Pakistan. The Ministry of Home Affairs (MHA) has approved a detailed plan for construction of a "state-of-the-art" PTB complex at the Kartarpur Sahib corridor, an official at the ministry said. 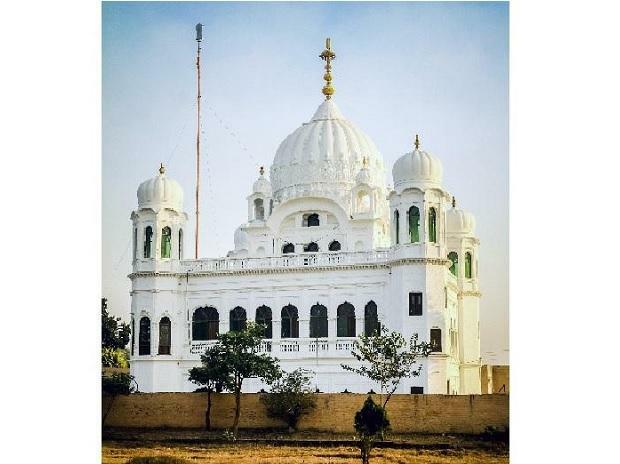 The approval came following the cabinet decision in November 2018 to develop the Kartarpur corridor from Dera Baba Nanak in Gurdaspur district in Punjab to the International Border. The Land Ports Authority of India (LPAI), which is mandated to build and operate integrated check posts along the land borders of the country, has reportedly been entrusted with this work and has been directed to complete the work on a fast track basis, before the 550th birth anniversary of Guru Nanak Dev in November 2019. The design and quality parameters have been prepared keeping in view the aspirations and religious sentiments of the followers of Guru Nanak Dev, the official said. Fifty acres of land has been identified for the purpose and will be developed in two phases. "Phase 1 will be developed over 15 acres for which the process of land acquisition has already commenced," another official said. The PTB complex to be developed in the first phase is proposed to have a fully air-conditioned building of approximately 21,650 sq metres built-up area. The PTB complex is expected to be constructed at a cost of Rs 190 crore, the official said. The design of the PTB complex has been inspired by the symbol 'Khanda' which represents values of oneness and humanity, he said. The disabled-friendly building will display murals and photographs based on rich Indian cultural values with eye soothing landscaping. It will have adequate immigration and customs clearance facilities to process the smooth movement of approximately 5,000 pilgrims per day, the official said, adding that the complex will have open areas for kiosks, cloakrooms and adequate parking space. The passage up to the zero point on the International border will be covered. In addition, a 300-feet-high monumental flagpole bearing the tricolour will be erected at the International Border, the official said. The phase II will cover development of a visitors gallery, a hospital, accommodation for pilgrims and expanded amenities.